Among the challenges facing those in management roles, perhaps none is so daunting as the lack of adequate time to do all that needs to be done. Nor is there a challenge that is so overlooked when it comes to management attention. Time is our most strategic asset. We can't do anything without it. And what we are able to do is limited by the amount of time available. So we must make wise choices. Like any limited resource, we should strive to put time to its best and most productive use. There is ample evidence of misused time in the average A/E firm. Unnecessary rework, inefficient work processes, rambling meetings, urgent matters pushing aside more important ones. These foibles not only impact the bottom line; they detract from the workplace environment. Stress levels are at the breaking point in many firms, and out-of-control time demands are often at the hub of the problem. Are we really resigned to a professional life of incessant "putting out fires?" Or is there a better way? Stephen Covey's firm studied how various organizations make use of their time and found that the most successful ones spent the bulk of their time on important-but-not-urgent tasks. The average performers, by contrast, spent most of their time on urgent-but-not-important tasks. So some firms seem to have found a way out of the compulsive firefighting business. Focus on eliminating wasted time. If we find it hard to agree upon what tasks are urgent but not important, we might at least reach consensus on where there is waste. What about correcting mistakes? Preventing mistakes can make more time available for our priorities. What about taking more time to complete tasks than is necessary? Better planning and efficient work flow can free up more time. I'm convinced that there is a substantial reserve of time available to the average A/E firm willing to make the effort to eliminate waste and inefficiency. Redirect time to high-payoff activities. I discussed this in my earlier post "Creating Strategic Capacity." Firm leaders, in particular, need to take a hard look at how they spend their time and offload activities that don't really merit their time and attention as leaders. By definition, leaders should not be consumed with the tyranny of the urgent. It is their role to focus on what really matters, which more often than not is not an urgent matter. Best way to allot time for such activities? Make appointments and keep them like any other. Don't consign your highest value tasks to leftover time. Devote appropriate time to helping others be more productive. Managers by definition accomplish goals through the efforts of others. Yet too many of them spend the vast majority of their time on personal tasks to the neglect of the office, department, or team for which they are responsible. Effective managers multiply their productivity by giving adequate time to helping others improve their productivity. That's what I call the Time Investment Principle. Preserve blocks of uninterrupted time for important tasks. I would urge you to do a couple of exercises: (1) track how you spend your time on the job for one week and (2) track interruptions at work for another week. (You might find the Time Tracker and Interruption Tracker at my website useful for these exercises.) These two exercises will make you more aware of how fragmented your time usage is, and hopefully provide added incentive to do something about it. In fact, the whole office should be striving to improve in this area. 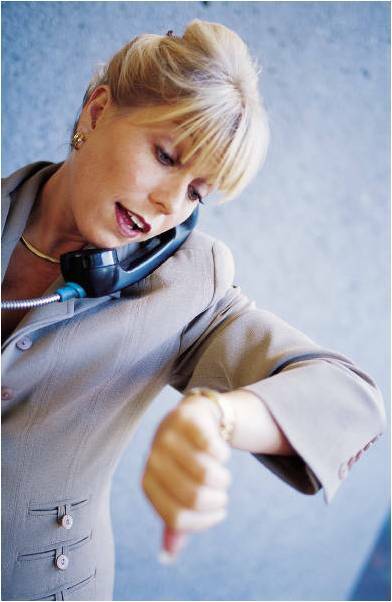 Colleagues can work together in minimizing unnecessary interruptions. Some might find it helpful to post "office hours" for this purpose. I've also found it very productive to locate the project team in the same space (such as a conference room) during critical periods of a project where they can both focus better and collaborate more. Make productive use of nonbillable time. We typically try to manage our collective billable hours. Nonbillable hours, on the other hand, often receive little management attention. Yet these constitute "investment time" where strategic initiatives are implemented, new business is procured, work processes are improved, training and mentoring takes place. I advocate budgeting and managing this time like project time. Check out the article "Investing Nonbillable Time" for more insight on this issue. Giving greater attention to how you and your colleagues use their time could be the most important thing you do in the months to come. It's a precious, limited resource. By all means, treat it as such. The benefits go straight to both your personal and your company's bottom line.